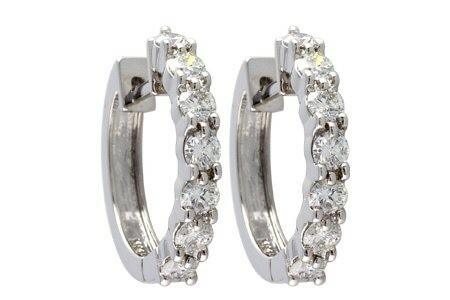 No earrings are more fun or more versatile than diamond hoops! The perfect earring with a t-shirt and jeans or to beautifully accent that little black dress! Sizes available from 1/4 CT TW to 2 CT TW.